Jōkō Shibata lives alone in a suburb of Komoro, a town in northern Japan, known as the Japan Alps. He moved to Komoro over twenty-five years ago in order to be with his teacher, the late Yokoyama Sodô Roshi, otherwise known as ‘the grass flute Zen master’. Jōkō is of average height and build, wears horn rimmed glasses and samue (work clothes worn by Zen Buddhist monks). He welcomes me into his home with a reserve that drops away quickly as we get to know each other. I had first seen Jōkō (we hadn’t really met) in 1971 when he accompanied his teacher to Antaiji, a small temple in Kyoto, where we both attended the yearly memorial service for Sawaki Kōkō Roshi. Jōkō leads me through a corridor lined with pictures of his teacher to a small chanoma (tea room) where we have tea. On one side of the chanoma is a kitchen, on the other a balcony with a view of Mount Yatsu­gatake. Across from where we sit is a newly built Zen meditation room, or zendo, with the distinct smell of fresh wood and new tatami straw mats. At the far end of the zendo is a small altar with pictures of Jōkō’s teacher, Yokoyama Sodô Roshi, and his teacher, Sawaki Kōkō, both sitting in the zazen [formal sitting] posture. Jōkō’s life attests to his devotion to these two teachers. Yokoyama Roshi, who was living a rather eccentric life even for a zen monk, was not looking to train disciples. While living at a nearby boarding house, he spent his days sitting in a bamboo grove at Kaikoen Park in Komoro, playing tunes on a leaf, brushing poems he’d composed in a delicate calligraphic style, and practising zazen. He entertained travellers, helping them feel younger through their contact with him. He considered that his life in the park and his relationship with the passers-by to be his religious practice. The travellers bought his brushed poems through which he made a modest living. When Jōkō approached Yokoyama Roshi to be accepted as a disciple, the master refused and asked him to stay at Antaiji. The roshi said that his lifestyle could not accommodate a disciple, since he had no temple and very little income. Jōkō, not easily dissuaded, left Antaiji, went to Komoro, and pleaded to be accepted until the master acquiesced. After a two-year period of training at Eiheiji, the head training monastery for the Sôtô Zen sect, at Yokoyama Roshi’s request, Jōkō returned to Komoro and moved in with his teacher. He prepared the roshi’s meals and attended to his needs until the master’s death. To support himself he got a job in a miso factory. When he wasn’t working, he was receiving instructions on the life and practice of Zen. During our conversations, Jōkō quotes Sawaki Roshi as much as he does Yokoyama Roshi. This is not surprising because while the two masters had contrasting lifestyles, Yokoyama Roshi’s writings on zazen are composed extensively of his teacher’s words. Sawaki Kōdō Roshi was called ‘Homeless Kōkō’ and this is because he didn’t have a temple of his own. 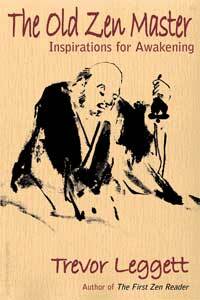 He lectured and taught zazen at temples throughout Japan, while remaining sceptical of institutional religion. When he was asked to be abbot of Antaiji, rather than live there, he put his disciple Uchiyama Kôshô in charge and visited the temple regularly to teach and hold meditation retreats. A dynamic teacher who spoke directly and, in true Zen fashion, without regard for social con­ven­tion, his talks were enlightening and humorous and they captivated people, while his personality charmed. Like so many renegades in Zen, he developed quite a large following. Yokoyama Roshi, on the other hand, was a loner who taught through his lifestyle. He lived in metaphors through poetry and song. His lifestyle was elegant. He went to Kaikoen every morning and set up his temple under a self-constructed awning between three trees with tea pot, portable stove (hibachi), leaves in a bowl of water, tea cups, brushes, ink block, etc. People who met him were inspired as a result of meeting one whose life was so simple and who seemed to love what he was doing. Like the monk Ryôkan, by whom he was clearly influenced, he delighted in playing with little children, and they with him. Like his teacher, he spoke of zazen as the focus of his life, and his conduct testified to this. Given Sawaki Roshi’s dynamism and charisma, and Yokoyama Roshi’s elegance and artistic sensibility, Jōkō had quite a legacy to live up to. He is not charismatic, he doesn’t compose or brush poetry, and he can’t play the leaf (at least he hasn’t demonstrated that he can). His faith in zazen, however, is as strong as that of his two predecessors, and he has the advantage of their teaching. Though he displays little of the uniqueness of these two creative teachers, his life is truly a celebration of zazen. When I called on Jōkō, it had been seventeen or eighteen years since the death of his teacher. I knew that he wouldn’t have the foggiest idea who I was and would wonder how I got his unlisted telephone number, and that breaking the ice with him would be an uncomfortable formal affair. What I didn’t anticipate was that when we got past the formalities it would be a most delightful encounter and the highlight of my visit to Japan. Jōkō had just terminated his job at the miso factory and completed the construction of the new zendo. It was a perfect time to visit him, as I found on my arrival. The following are excerpts from the conversation I had with him. Arthur: Yokoyama Roshi was seventy-five when he died? A: When I saw him at Kaikoen Park he seemed quite strong. Uchiyama Roshi always appeared weak, while Yokoyama Roshi appeared so healthy. Jōkō: Yes, but he used to go to the park during the coldest part of the winter. Little by little he exhausted all his energy. He lived with the bare minimum — he lived in poverty and he perfected this impoverished life. A: You worked in a bakery when you lived with Roshi? A: How do you plan to make a living from now on? Jōkō: Well, I’ll live on a minimal budget and I’ll manage somehow (laughs). A: You have a vegetable garden? Jōkō: Yes, a small one. I rent a small plot. Having lived at Antaiji I got used to living in poverty (laughs). A: How long were you at Antaiji? Jōkō: I was at Antaiji for about three years. Then I went to Eiheiji and then I lived with my teacher. A: You were at Eiheiji for four years? A: A friend of mine who went to Eiheiji said that the only real practice there is during the first three months. Jōkō: That’s true (laughs). My teacher said that I should go to Eiheiji, not for practice but to see what it’s like there. You hear Eiheiji, Eiheiji, all the time and you think it must be an extraordinary place, but you go there and see it for yourself and you realize that it is nothing special — ‘This is all it is?’ Then you can relax and get down to practising. That’s the reality, isn’t it? A: Didn’t Yokoyama Roshi go to Eiheiji? Jōkō: No, he practised at Sôjiji. Sawaki Roshi was the Godô (Director of Training) at Sôjiji then. A: You went to Eiheiji because your teacher asked you to go there for three years? Jōkō: Yes. He didn’t say three years. He just said go, so I went. A: And you didn’t feel like leaving after six months? Jōkō: (Laughing) I wanted to leave, but what could I do? I stayed for three years, a full two years and some. No, it was a full three years. A: And when you returned to Komoro, you got a job so you could have money to live? A: To live near your teacher? Jōkō: Yes. I thought about how I would manage living with my teacher in a boarding house. I couldn’t go begging (because we weren’t in a temple) so I had to get a job. When my teacher died, I thought about what to do next. Since I decided to stay here, I still had to make a living. A: You were still near the park? A: While you were working, were you thinking about building this meditation room? Jōkō: Yes. My teacher thought about doing this. Antaiji no longer existed in Kyoto. I thought that if I created a place where people could practise zazen together, it would be a good thing. A: How do you plan to let people know that you have this place? Jōkō: I don’t know . . . I really have no idea. How did you make the connection? I had no idea that you would come here, yet . . . (laughs) I wondered how you got my telephone number since it’s not listed. A: That’s why I’m wondering how other people are going to find out about this place. Jōkō: Arthur may tell people he came here. I don’t know who or from where the connection will be made (laughs). A: I’ll write something in English and people will come here. Jōkō: Do you believe in zazen? A: I don’t know to what degree I can say I believe in it. Jōkō: Do you believe that it is the universe? A: I’ve read that statement many times, but how much it has penetrated . . .
A: I may believe it with my head, but . . .
Jōkō: It really does take you to a place where you can do nothing else. A: Even if I say I understand, there will always be some question. Jōkō: If you understand, that’s enough (laughs). You’ll do zazen. Have some candy. It’s from my teacher’s home town. A: Did you believe ‘Zazen is Buddha’ [I am quoting a phrase used regularly by both Yokoyama Roshi and Sawaki Roshi: zazen wa hotoke de aru] from the beginning? Jōkō: I believed it, but I didn’t understand it. Sawaki Roshi said it, Uchiyama Roshi said it, my teacher said it. They all said, ‘First do zazen, you have to do zazen.’ I came to realize that. When I met my teacher, that’s what he said in his teishôs (sermons). There’s nothing other than zazen. I didn’t know that. But I did zazen and somehow, through the body, I came to know it in the end. The posture is one important thing; the most important thing after all. It is said that if you do zazen, you know what zazen feels like. If you steal, you know what a robber feels. So if you do zazen completely, you really become in tune with the universe. If you don’t do it com­pletely, you won’t really understand the meaning of being in tune with the universe. A: You talk about the importance of posture. In Pure Land Buddhism they don’t emphasize posture, yet you’ve said that Pure Land is the same spirit as Zen. Jōkō: It is the same spirit. But it’s another application. 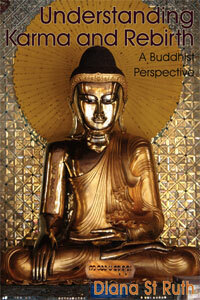 Sawaki Roshi said that Namu Amida Buddha (Praise Amida Buddha) is an application of zazen. You recite the name like this (he demonstrates). Zazen is done with the whole body. I would say that whichever one is easier for you to understand (zazen or nembutsu) is the one you should choose. After all Namu Amida Buddha expresses infinite life, doesn’t it? Infinite, limitless, unob­structed . . . ‘Namu’ means surrender, doesn’t it? So you surrender to it, right? Sawaki Roshi says zazen puts you in tune with the vibrations of the universe. It’s basically the same, isn’t it . . . after all? So first you believe it emphatically, then you realize it. It is said that whoever does zazen will experience the same thing — this is true. The question is whether you can believe that this is it when you do zazen. In general, people don’t believe it. They usually seek something else, satori (enlightenment) or something. Under­standing that zazen is the end in itself is most important. Realizing that doing zazen is all that is necessary — that is the universe as it is . . . Everything, your thoughts and objects are all one with the universe. Because this body is the universe’s body, you’re not controlling your breathing. Isn’t that right? Think about when you are sleeping. Then your breath is naturally regulated, isn’t it? Jōkō: Humans think, distinguishing between this and that . . . Using our mind in this way, we create the existence of a ‘me’. But originally there was only the universe. The Heart Sutra says, ‘There is no birth and no death,’ doesn’t it? Really nothing is born and nothing dies. The phrase ‘the life and death of the universe’ (uchû shôji) means you don’t live and die — the universe does. This is very difficult to understand. If you understand it, you will be at ease. That’s why you should do zazen. It’s quite difficult to understand. A: My father-in-law, as a Pure Land Buddhist priest, says that if you practise zazen, you are expressing your lack of faith in the fact that you already have been saved. You want to get something out of it, or be somebody, so you practise. Jōkō: That’s true. But zazen is not religious practice. You don’t try to become great or attain something. You only see one side with words. Sawaki Roshi said doing zazen once is eternal zazen. That’s absolutely true. If you really understand the meaning of eternal zazen, you will do it again. That’s the truth. A: You’ll do it because it’s eternal? Jōkō: Yes. If you understand that it is eternal, you’ll do it again. ‘If I do it once and it is eternal, I don’t need to do it again,’ — that is false under­standing. Because you don’t under­stand it, you say that. If you really understand it, you want to do it again. When we eat delicious food, we want to eat more, don’t we? You do (true zazen) because you understand it. People who don’t understand it, do it once and then rationalize, ‘I did zazen once, therefore . . . ‘ So when some­one reasons that reciting ‘Praise to Amida Buddha’ (Namu Amida Buddha) once is enough because it is eternal recitation, he is not telling a lie. However, if that is true, he will recite it again and again (laughs). 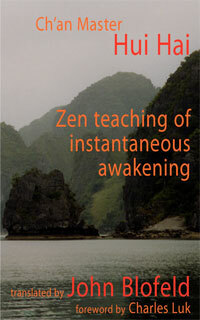 A: Your teacher talked of how Sawaki Roshi realized that zazen was posture. When the roshi was in a monastery and all the other monks went to a festival, he stayed back and did zazen. A lady who came to clean walked by and saw him sitting in zazen and immediately bowed and recited prayers to him. He realized that she was praying to the form regardless of what deluded thoughts were going through his mind. Jōkō: Yes. Sawaki Roshi felt that for human beings the most sacred position was that of zazen. When I saw my teacher in that position, I too felt how true that was. It’s from that experience that my faith in zazen was aroused. That’s where the faith-mind comes from. That photo over there of Sawaki Roshi doing zazen . . . I look at it often . . . It’s quite powerful. Look at it carefully. See how powerful it is when you sit and stare at it. My teacher always told me to pay attention to my posture. I would sit in front of a mirror and check myself and sure enough when I got lost in thought or sleepy I would see my body bending or my head tilting. When I put all my energy toward it, I would sit like this (he demonstrates a straight zazen posture). Your nose should be in line with your belly button, your ears in line with your shoulders and your head should be pushed up toward the sky. Then that (posture) will arise. And with that the feeling will arise. A: You mean the blood will leave your head and you will feel settled? Jōkō: Yes, yes. They say your blood settles . . . You become sane. The Buddha-way is the true way to sanity. You become natural. So correct posture is important. There are people who can’t keep this posture and maybe they can’t do zazen. But that’s okay. Still, right posture is important when doing zazen. A: When you sit in zazen, what do you focus on? Your posture? Your breath? Jōkō: In the Sôtô sect you are not told to focus on your breath or posture. They do say short breaths are short and long breaths are long. In Sawaki Roshi’s book there is mention of breathing from your tanden (lower abdomen). In general you straighten your posture and breathe from your hara (abdomen). A: Does that mean that it’s okay to let thoughts arise? Jōkō: Thoughts naturally arise, but you shouldn’t follow them. When you are thinking, you will slump. When I sit across from a mirror, I can really see this. When I am wrapped in thought and I glance at a mirror, I see how my posture is. Sure enough, something is off. Human beings are thinkers. We can’t rid ourselves of thinking, but we don’t have to chase after thoughts or wipe them away. Of course, what I am suggesting is difficult. When we think, we tend to chase after our thoughts. So when we are doing this, we just have to correct our posture. Thinking is not good, but chasing after thoughts, or trying to erase them, is no good either. This is why posture is so important. You think, and your posture crumbles. You correct it. You think again, and your neck or your torso bends, or some part of your body slips, and again you correct it. Keep your posture right, leaving things as they are (aru ga mama) . . . There is ‘good feeling’ zazen too, isn’t there? ‘Ah this feels great.’ In fact, this too is not really good zazen. When you are feeling ‘this is good zazen,’ just check yourself out and you will see. You may think, ‘This is wonderful. The time flew by while I was sitting.’ But if you check your posture during these times, you’ll see you’re actually spacing out. The body becomes the ‘body as it is’ (sono mama) . . . The body is the universe, isn’t it? Breathing is the work of the universe; it’s not the work of your individual self. Thinking too is the work of the universe. And, as is written in the Genjôkoan, delusion and realization are one — both a part of the same scenery. So bringing your body back to the universe is zazen (the essence of zazen). Hence, Sawaki Roshi’s statement, ‘By your­self you make the self your self.’ Truly, you become your self. And that is the universe. That this thing be­comes this thing is the form of the universe. If you want to become some­thing else, you are making a mistake. You need to be satisfied with who you are. A: Is there no difference in sitting alone or with a group? Jōkō: In the final analysis there isn’t. 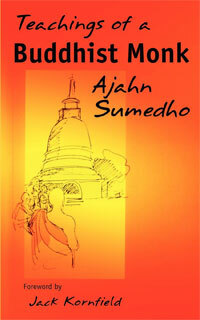 A: In the ancient writings, there is talk of the importance of a com­munity (sangha). Dogen says you should sit with one or two others. Jōkō: Yes, that too is important. When you practise by yourself and get tired, you can easily quit. ‘Ah I’m tired, I’ll just rest . . .’ (laughs). But when you practise with others, you can’t operate that way. A: You are taught by your posture, aren’t you? When you think about something, your posture starts to collapse. When you practise with others, aren’t you still taught by your posture? Jōkō: Yes. You practise with all your heart, and when you start to slip up, you correct yourself. Because zazen is your world. Even if someone is sitting next to you, it’s still your world. At that time, you have to practise with care. But when you practise by yourself and your legs hurt after thirty minutes, you say to yourself, ‘I’ll take a break.’ When you’re sitting with others, you can’t do that. If you agree to sit for forty minutes, you sit for that time. If you agree to sit for fifty minutes, you have to sit for that duration. You have to hang in there, don’t you? Jōkō: Yes. Now it’s easier to sit; I sit a lot longer. Zazen goes deeper and deeper. The more you practise, the deeper you go. It’s still just zazen — the depth . . .
A: Do you do sesshins by yourself? Jōkō: I’m not sure what you mean by sesshin, but if you mean sitting fourteen hours a day (he’s referring to the Antaiji schedule), I can’t sit fourteen hours each day. I usually sit between eight and ten hours a day. That’s all I can do. I get tired when I do more than ten hours. By the eleventh hour, I’ve had enough. No matter how won­derful my zazen is, at some point it feels like it’s too much (laughs). I feel like I’ve had it (laughs). A: Years ago you sat with others — Shûsoku-san and others. A: You don’t get together with any of them now? Jōkō: They are all doing their own thing now. And, after all, fewer and fewer people are doing zazen now. A: In Japan there are fewer people doing zazen? Jōkō: I think so. I really don’t get much news about it, so it’s just a feeling I have. I don’t know if it’s really so. A: If someone came along and wanted to practise as your disciple, would you let him? Jōkō: Sure. We would live and work to­gether and he would have to be willing to do zazen as I do it. He wouldn’t be able to play around (laughs). This is a place for zazen. If some­one wants to do zazen here, I don’t care who it is, it’s fine . . . This is a nice place, isn’t it? You can see Yatsu­gatake Mountain on a clear day. A: Is the altitude of Komoro high? Jōkō: Yes. It’s about six hundred metres high. The city is at the front entrance to the mountain. Later we can walk around here. I’m always doing zazen, so I don’t take good care of the garden — it’s pretty sloppy (laughs). I really have to attend to it . . .
We would like to thank Arthur Braverman for sending us this interesting account. Read more articles by Arthur here. I am just learning about meditation and in work have been helping visitors to understand zazen in a ‘Kyoto Garden’ that we look after in west London. This fascinating article has helped me to bring things together! Thank you. Clonk. Here it is, warm, succinct, complete. The best way for me.Thanks. Nice article, thank you. This is the real deal.